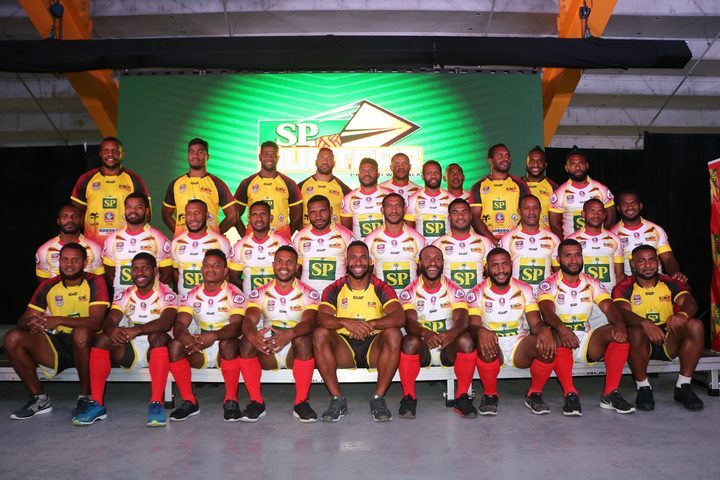 The Papua New Guinea Hunters rugby league team are hoping for a much improved performance in their first home match of the Intrust Super Cup season. The 2017 Premiers suffered a 10-0 defeat away to Tweed Heads last weekend, in the opening round. Coach Michael Marum said it was a learning curve for his new-look side. "It's actually the first time in five years we've never scored any points at all - we had the football but we just didn't covert it into points. That was our first game together - we haven't really had a trial and there was a lot of positives we took out of the game as well. 'I thought our forwards went well, the defence was ok in the first half and just in the second half where we allowed the opposition to put those two tries in the corners." The new-look Hunters squad didn't play any trial games during pre-season and, with 80 minutes of competitive footy under their belt, coach Michael Marum is hoping for more continuity against a Northern Pride team who beat reigning premiers Redcliffe. "That's why we basically stuck to the same, didn't do much change in the first team so we know we can do well at home this weekend...they had a couple of NRL boys in there last weekend and they'll be tough at home again. "They've got a good record against us as well so we will be going out there and make sure we give 100 percent effort." With such a high turnover of players in the off-season, Michael Marum says they're determined to take things one game at a time. "All we ask for from these players is giving their best, 100 percent, every week, week in week out. It's a bit tough on the halves controlling the side - a lot of them don't talk too much but they need to be out there talking to the big boys in the field during the game: telling them where to go, where to run, doing this and doing that. "We've seen them at times they've tried to control that but pressure games will come and that's going to be a test for them." Michael Marum said if they can win all their home games this season they should have done enough to make the expanded top eight playoffs.